This weekend, the Danish national football team begins the arduous task of trying to qualify for the 2018 World Cup in Russia. Rather appropriately, they have to get through Group E and most of eastern Europe to get there. But it all kicks off in a familiar setting in Copenhagen this Sunday when the Armenians come to town. Armenia have proved a testy opponent in recent years, most notably in their emphatic 4-0 win at Parken in 2013, which remains a blight on Danish football history. The Danes face perhaps their toughest challenge next month away in Poland, before taking on Montenegro (home), Kazakhstan (home) and Romania (away). Denmark warmed up by beating Lichtenstein 5-0 last night in a friendly in Horsens thanks to goals from Nicolai Jørgensen (2), Andreas Cornelius, Viktor Fischer and Jens Stryger Larsen. The Danish ice hockey team is in Minsk this week trying to qualify for the 2018 Winter Olympics in Pyeongchang, South Korea. The Danes have assembled arguably the best ever Danish team with all but one of their NHL players lacing up their skates. 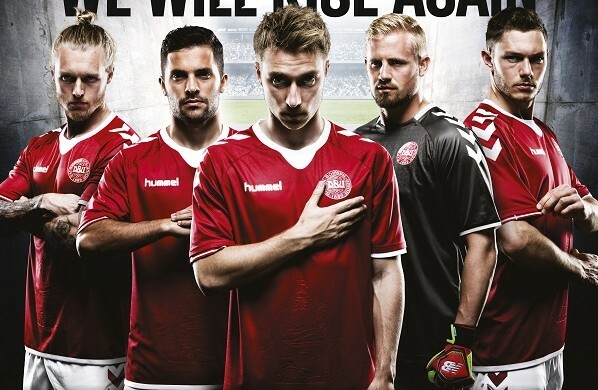 Denmark face hosts Belarus tonight, before taking on Slovenia tomorrow and Poland on Sunday. Only the group winners will progress to the Olympic Games, Denmark got a confidence boost earlier this week when they beat Latvia 3-0 in Riga. Recent woes have seen Caroline Wozniacki plummet to 74th in the WTA rankings, but she has a good chance of taking a big step back up thanks to an impressive 6-4, 6-4 win against 10th seeded Svetlana Kuznetova in the second round of the US Open and a decent looking draw. The Dane faces 58th-ranked Monika Niculescu in the third round, a player she has yet to lose a set to in six contests, and should she win she’ll most likely face eighth seed Madison Keys in the fourth round, the toughest opponent she could potentially meet until the semi-finals. The bookies have accordingly slashed her odds to 50/1. The Danish Formula 1 driver Kevin Magnussen looks set to take part in this weekend’s Italian Grand Prix despite sustaining an injury in a nasty crash in Belgium last Sunday. The Renault driver crashed while hammering down the track at almost 300 km per hour and was taken to the hospital with a damaged ankle. The 23-year-old still needs to pass a final fitness test before getting the green light to race. Ahead of the transfer deadline last night, few deals were likely to rival those that have seen Rafael van der Vaart, Jores Okore and Nicolai Biolesen join Danish Superliga clubs this month. But there was plenty of more action before the clock ticked past midnight. Among the more interesting ones, FC Midtjylland loaned the Brazilian striker Bruninho from China, Jesper Juelsgaard joined AGF from Brøndby, Sparta Prague captured FCM’s Vaclav Kadlec and SønderjyskE sold Adama Guira to Lens.